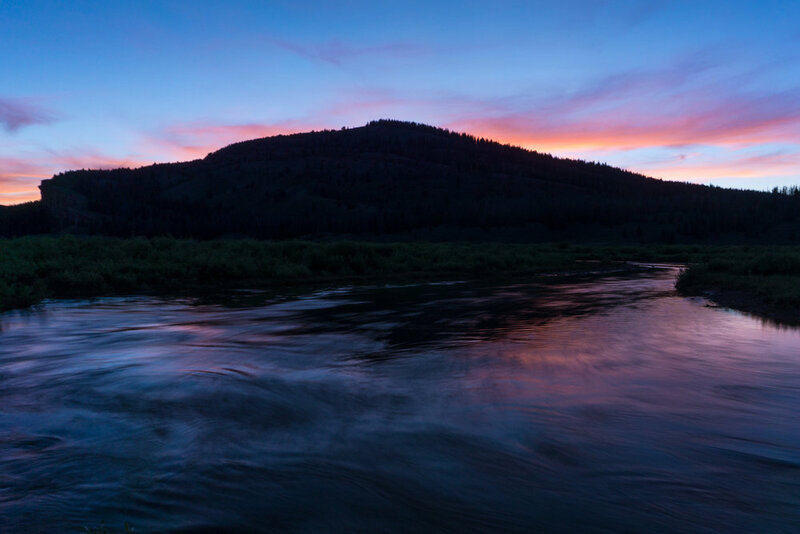 The ranch provides access to the remote and pristine Upper Gros Ventre River. One can fish for miles in either direction, and it is rare to encounter others. The native Snake River Fine Spotted Cutthroat Trout continue to thrive in a healthy fishery – and we aim to keep it that way. All anglers practice catch and release fishing with barbless hooks; we may occasionally restrict access to certain stretches of water if water temperatures or fishing pressures are unusually high. Good fishing spots range from just outside the lodge to an hour or two on foot from the ranch. 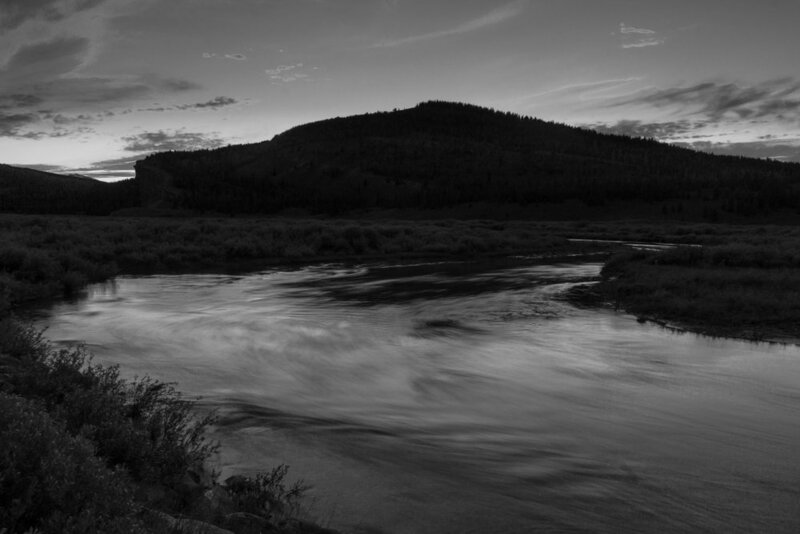 The rivers and streams are fished by wading, with temperatures that permit wet wading throughout the season. The high mountain lakes, accessible by horseback day trips, can be fished by shore wading or float tubes.